We at Waco Bounce House Rentals have all your party needs covered! Missing some party essentials such as tables and chairs? Count on us to deliver the equipment that you need! 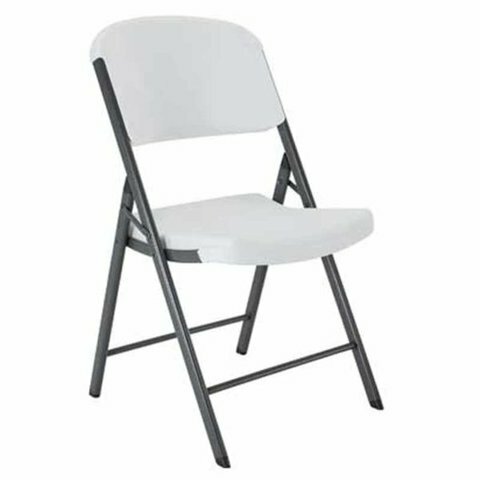 Our chairs feature a traditional white look and can be folded for easy storage. We also offer a variety of other party accessories, including tents, generators, tasty concessions, and more! Take the time to explore our inventory and build the perfect package to suit your upcoming party or event, and remember to make your reservation well in advance. For any other questions, do not hesitate to reach out to us at Waco Bounce House Rentals directly!